Product categories of Double Layer Roll Forming Machine, we are specialized manufacturers from China, Double Layer Roll Forming Machine, Roof Sheet Forming Machine suppliers/factory, wholesale high-quality products of Double Layer Sheet Roll Forming Machine R & D and manufacturing, we have the perfect after-sales service and technical support. Look forward to your cooperation! 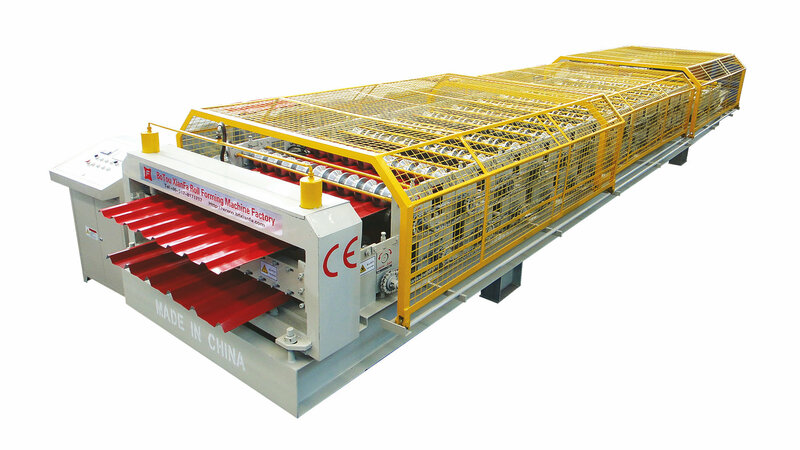 1.This kind of Cold Roll Forming Machine is widely used for making various metal wall panels and roof panels for steel constructions, steel structure projects and containment systems etc. Related Products:Roof Sheet Forming Machine,Iron Sheet Making Machine,double layer roof sheet roll forming machine.